As the American Declaration of Independence asserts, when there is such an iniquitous state of affairs, “it is the Right of the People to alter or to abolish it, and to institute new Government.” We are in the midst of exactly such an event, with worldwide consequences. The present US administration — a de facto military government with a civilian veneer to prevent panic — is engaged in a complete replacement of a “failed and corrupt political establishment”. The process is a patient and judicial one, so as to minimise the risk of violent civil conflict. As I wrote back in November, what is transpiring is a second American Revolution, if not a global “War of Independence” from a psychopathic criminal culture. No thriller or spy novel has ever come close to the tale that is unfolding. You certainly wouldn’t dare to offer this story as fiction, as it would be deemed far too implausible for public sale! I myself am beyond astounded at what is transpiring, and find myself making unexpected new allies, whilst old acquaintances seek their distance. You probably heard that President Trump will make a public address tonight, January 8, at 9 pm EST, 6 Pacific. Many speculate he will tell us he is declaring a State of Emergency in America. That was done previously, but seems to have been ignored. It will be interesting to see the fallout of this announcement. There’s bound to be some kind of reaction from you-know-who. It sounds like Central American people are making money hand over fist to facilitate the invasion of America. It’s the Middle Eastern invasion, folks. I don’t think Americans are going to like it any more than Canada does. See Billy Joyce explain what’s going on there where Muslims are petitioning for their own political party and plan on changing Canadian laws to suit themselves and their culture—and they have some despicable, violent aspects to their culture, to be sure. Mixing certain cultures is a volatile idea. The New World Order knows it and that is why they have done this all over Europe, and now North America. They know we do not see eye to eye and conflict is guaranteed because the ones immigrating now are inflexible and not interested in assimilating into our culture. Unfortunately, the Muslims sent here are aggressive and violent and will do whatever they feel justified in doing to further their agenda. Natasha tells us the establishment wants to censor Trump’s update tonight and that Twitter is just as bad for shadow banning and censorship as Facebook was. They remove a lot of her posts as soon as she publishes them. The information war is raging with censorship at an all-time high. Here we go again… Same excuse, different airport. Coincidence? Not bloody likely. We know it wasn’t a drone, so quit with the stupid stories, already. This popped up on Twitter. #Heathrow Breaking News: Alien craft again interrupts flights at a UK airport. Of course we don’t know that it was “alien”. Coulda been part of the Earth Alliance. I bet Cobra knows. There isn’t going to be a “first contact”. You may have missed it. James Gilliland shows us it happened a long time ago and he did a super video recently about contact with the galactics. Mr. MBB shows us a subscriber’s image from December 15, 2018 of what certainly appears to resemble what we have seen in movies they tell us is a stargate. Believe it—or not. 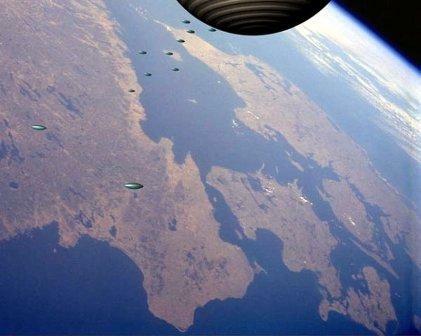 Funny… NASA never shows us pictures like this. What appears to be a REAL Stargate next to the Sun! More blatant censorship! Daniel Lee’s main focus is exposing pedophilia and he says YouTube and Craig Sawyer have now threatened him with account removal. I believe it was Timothy Holmseth that said Craig Sawyer is a fake, that his child rescue foundation is fraudulent, and that he hasn’t rescued anyone besides his own daughter. That was the last update I heard, I believe. How many people have foundations claiming to bring Humanitarian aid to the public when all they are is a money laundering scheme? I wasn’t happy to hear we are still expected to submit a tax return this year. Every year I have hoped it was the last time we would have to give away a sizeable and disproportionate slice of our hard-earned income when we don’t even have acceptable phone or Internet service. We like the President’s sense of humour and he’s the consummate troll-meister. I’m certain Elizabeth (Pocahontas) Warren doesn’t appreciate it. We would love to know the cause of the mysterious booms and “trumpet” sounds heard all over the world. Jake Morphonios brings samples and welcomes feedback. I missed this story when it came out on December 6th. Thanks to AIM4Truth for the share. If you are trying to educate anyone about vaccine dangers, you may want to share this one. We’re all being attacked and preyed upon in numerous ways, but the ruthless torture and slaughter of Humans is vile and unacceptable and it must be stopped. That is what this Revolution across the planet is ultimately about; ending the evil persecution of our world in all its forms, once and for all. People are finally realizing that if they don’t rise up and do something that it will continue. It sickens me to hear of the carnage going unchecked. This entry was posted in Uncategorized and tagged address, alien craft, announcement, booms, border, Canada, censorship, Central America, drone, Elizabeth Warran 2020, emergency, first contact, Flu shot, funding, galactics, Government shutdown, Heathrow Airport, hospital, IRS refunds, James Gilliland, Lpove, middle eastern, military intelligence, Muslims, Natasha, Ontario, Pleiadians, political party, QAnon, stargate, Starship Earth, Sun, Trump, trumpets, vaccine dangers, wall. Bookmark the permalink.